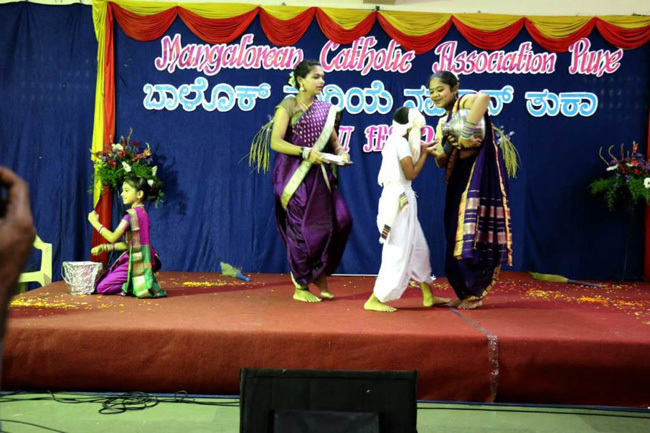 Pune, 13 Oct: The traditional celebration of Monti Fest by The Mangalorean Catholic Association (MCA), Pune was held on September 16th 2018 at Christ the King Church, Pune. 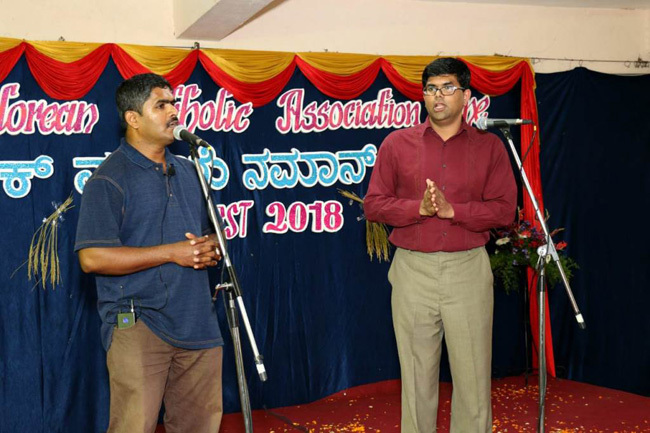 The highlight of this celebration was the blessing by Fr Baptist Pais, SVD, of the new sheaves of paddy grain (Novem) specially brought for the occasion from Mangalore. 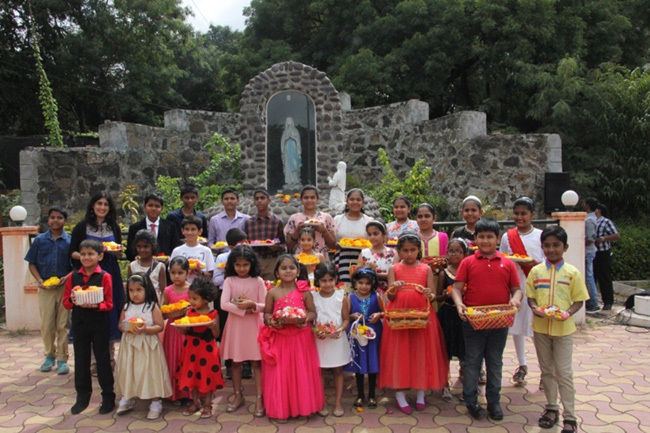 The traditional hymn “Sakkad Sangatha Melyan Moriyek Hogolsiyan” resounded joyfully as the children and adults alike showered flowers on the statue of Infant Mary. 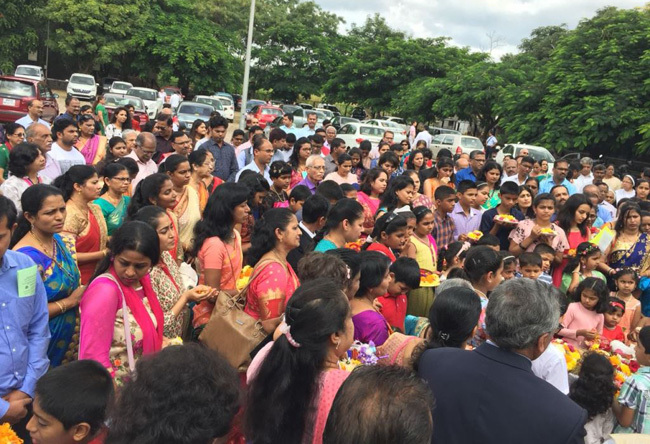 The congregation then proceeded in a devout procession to the church for the solemn mass in Konkani. 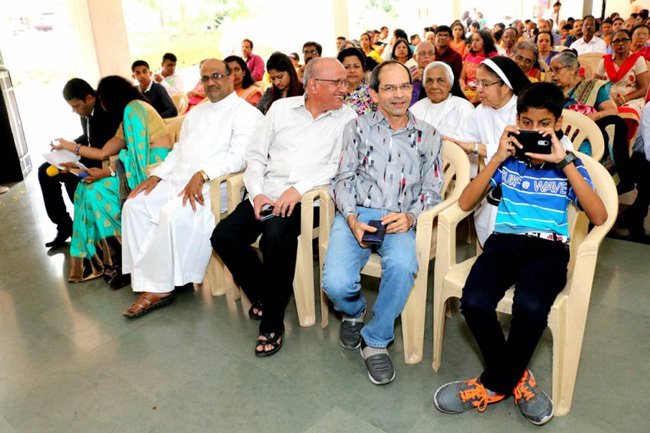 The Eucharist was celebrated by 12 priests, the main celebrants being Fr Franklin Machado, SVD, Fr Joel Noronha, SJ and Fr Leo D’Souza, Jamshedpur Diocese. 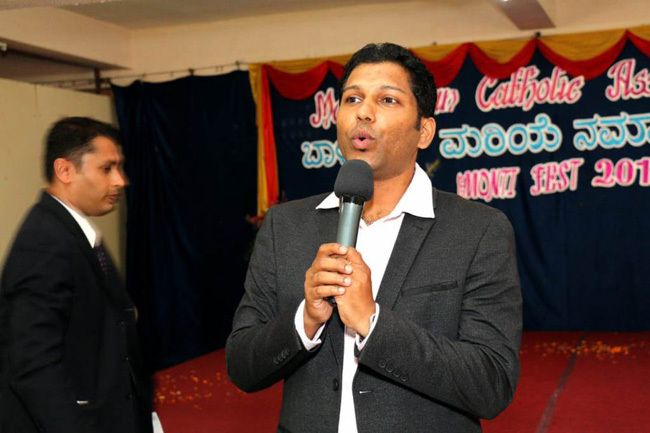 The homily delivered by Fr Joel was simple, touching and thought provoking. The theme of his message was ‘togetherness’. He reminded the congregation of the last sentence in the Gospel of Mathew 28:20 “I Am With You Always, Even To The End Of The Age” which is a solemn promise from our Lord Himself that He is together with us eternally. He went on to cite instances from the Bible where Jesus transcended societal norms and shared fellowship meals with His disciples, friends, tax collectors and sinners. 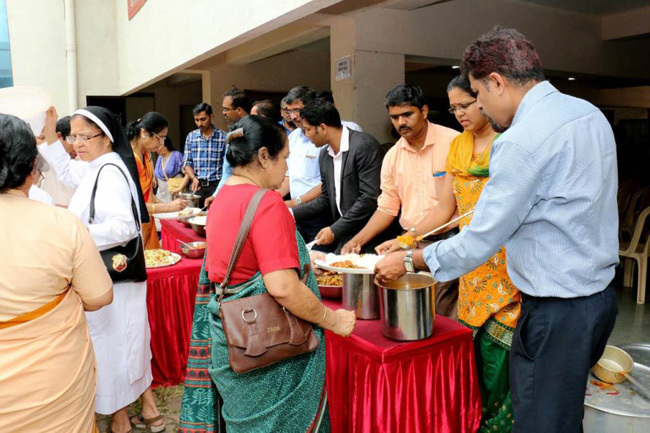 Hence he concluded that the celebration of Monti Fest also known as ‘kutmachen fest’, includes the fellowship meal known as ‘Noven Jevan’ which is important in building and maintaining strong bonds of togetherness within families and in the society. 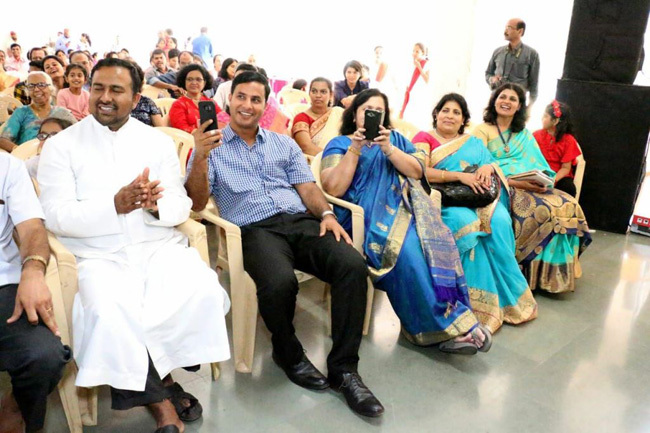 The church resonated with the melodious singing by the MCA Konkani choir alongwith the brothers from SVD, SDB and DNC. Ms. Wilma Mendonca, Cultural Secretary, thanked the clergy and the congregation for their devout participation in the Eucharistic service. 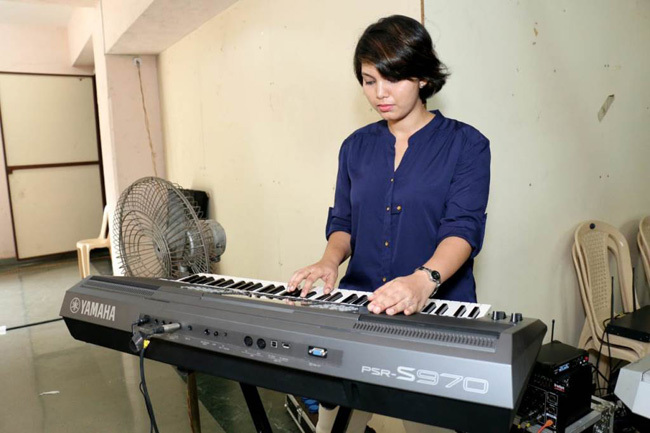 This was followed by a Cultural programme in the Bishop Dabre Hall. 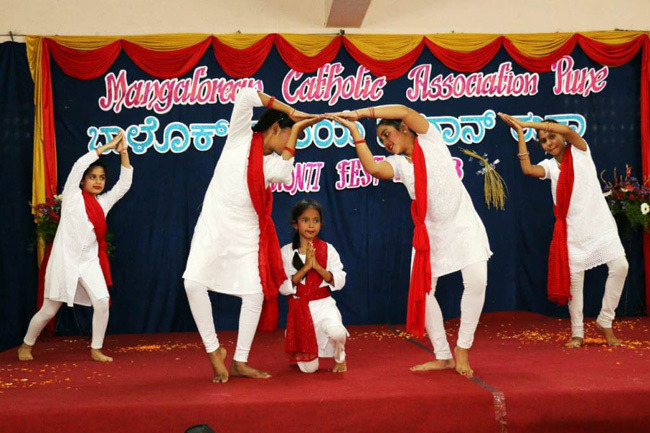 The Nativity of the Blessed Virgin Mary is also celebrated as ‘Girl Child Day’. 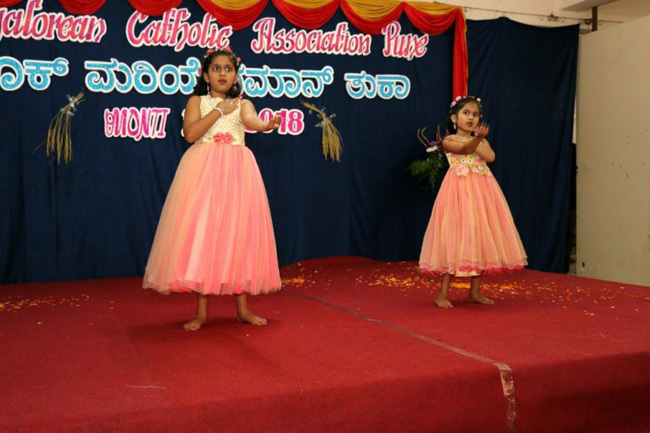 To commemorate this special occasion, the programme started with a procession where all the girl children entered the hall carrying Bambina Mary’s statue. 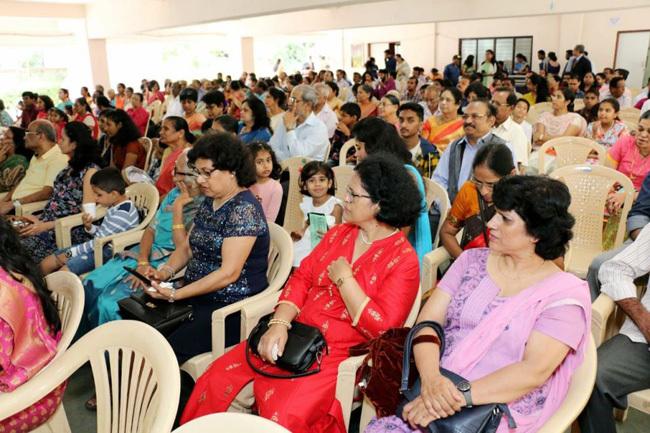 Mr Patrick D’Souza, MCA President welcomed the Mangalorean community for gathering in such large numbers as the hall was full to its capacity and encouraged them to join in for more such events organised by MCA. 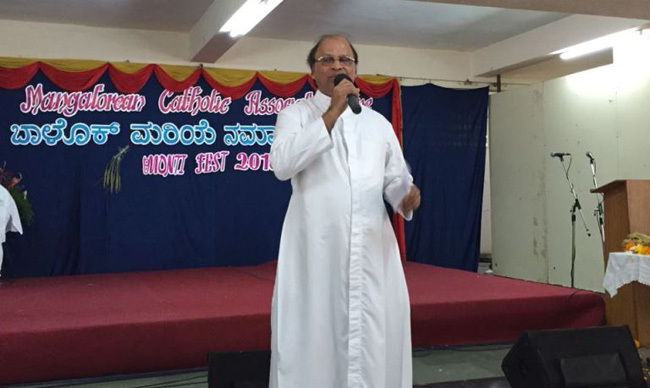 He also urged the community to pray for the newly appointed Bishop of Mangalore that He may bless his mission abundantly. 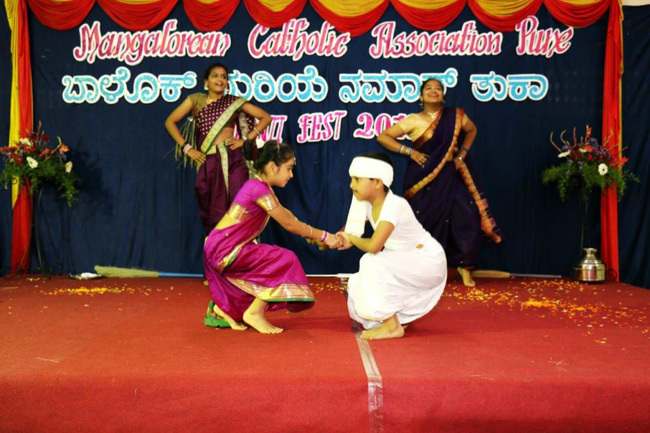 The tiny tots and the young teens put up beautiful dance performances. There was a rib tickling comedy skit by Mr Nishant D’Souza, Mr Roshan Rebello and Mr Naveen Serrao. 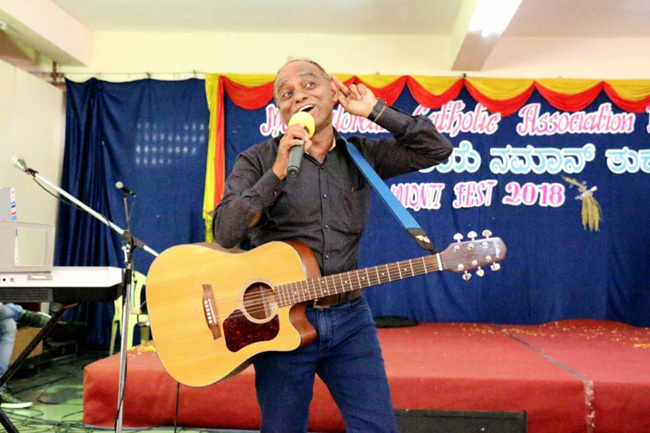 A comedy act by Mrs. Linetta Rodrigues, Rebecca and Ralph Rodrigues left everyone in fits of laughter. 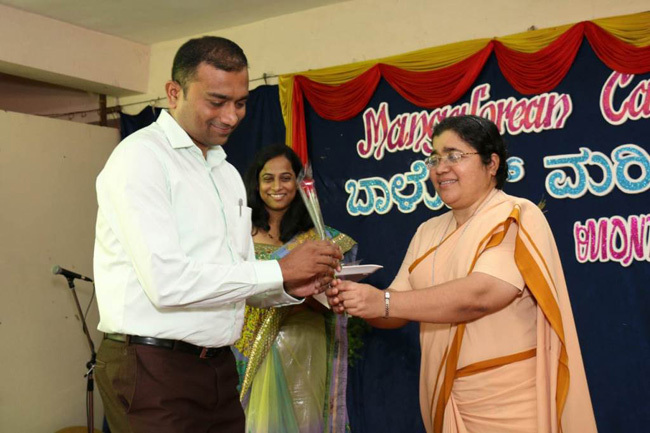 Sr Surekha, BS gave away gifts to all the participants of the dance programmes. 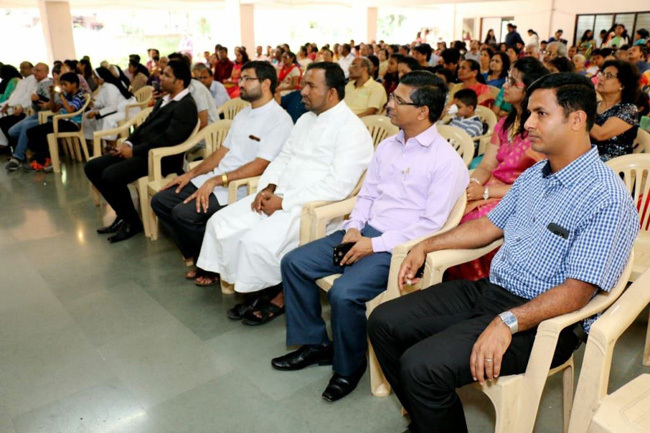 Meritorious students of Xth, XIIth, Graduation and Post Graduation were felicitated by Fr. Lawrence Almeida. 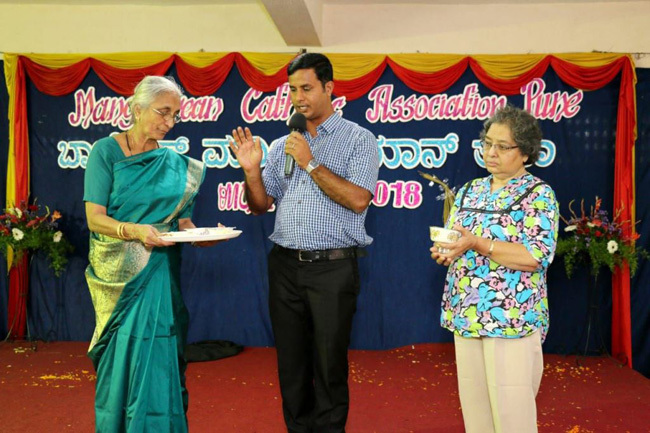 Donors were also felicitated by Sr. Millicent, A.C. Education grants were handed over to two deserving families by Mr Aloysius Saldanha, Founder Member of MCA. 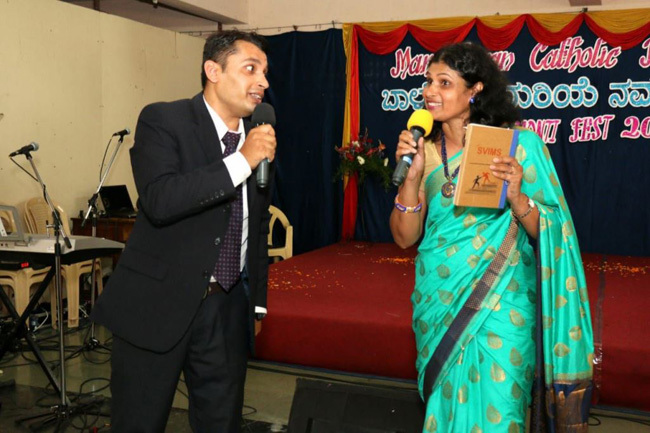 The event was beautifully compered by the brother-sister duo, Mr Alwyn Castelino and Mrs Shanthi Fernandes. 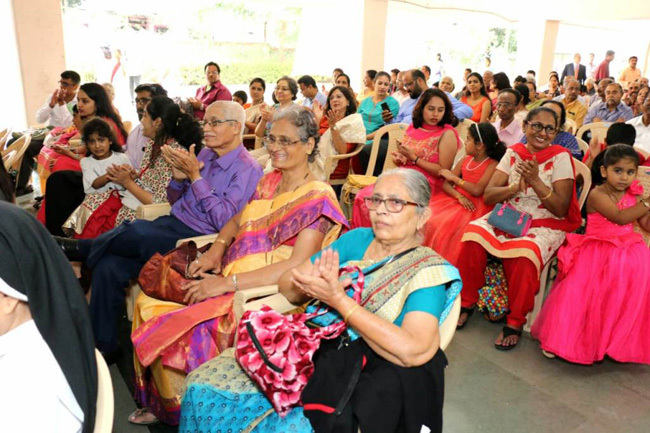 The Cultural Secretary, Ms. Sunitha D’souza, thanked the audience for making this Monti Fest a successful and colorful event and all the members who worked directly or indirectly for the success of this program. 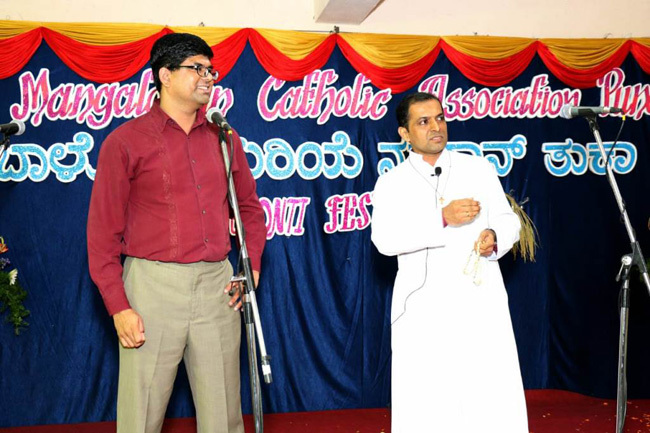 The cultural program concluded with the blessing of ‘Noven Jevan’ by Fr Anthony D’Souza, SJ. 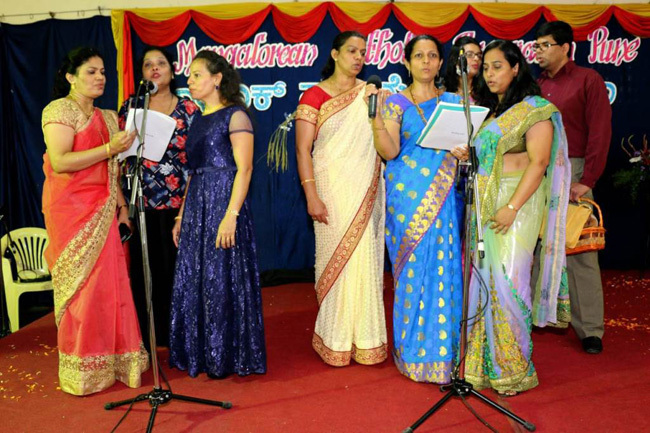 Mr Olivet Fernandes and the MCA choir members kept the audience enthralled and in high spirits with their foot tapping Konkani medley songs. The assembled guests were served a delicious fellowship meal Novem Jevann. 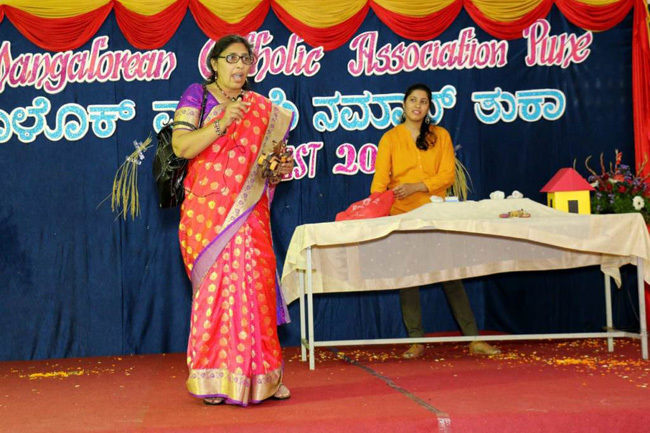 It was another memorable event for the Mangalorean community of Pune. Very Nice celebrating Monti feast. God Bless you all.